Joseph McGarrity greeting Countess Constance Markievicz at Broad Street Station, Philadelphia in April 1922. Joe McGarrity was éamon de Valera’s right hand man in America and was once described by poet Padraic Colum as “a gallowglass ready to swing a battleaxe with his long arms.” It was an apt description for the old warrior. McGarrity was born in Carrickmore, County Tyrone, in 1874. Legend has it that as a penniless 16-year-old he walked to Dublin, boarded a cattle boat to Liverpool disguised as a drover, and sailed to America on someone else’s ticket. He settled in Philadelphia and made a fortune selling liquor and real estate. He joined Clan na Gael, the Fenian movement in America, and devoted his life to the cause of Irish independence. He conferred the title “President of the Irish Republic” on Eamon de Valera when the latter landed in New York in June 1919 to seek U.S. support for the Irish Republic declared by the first Dáil in January 1919. De Valera’s title was “President of Dáil Eireann.” Joe argued that Americans had no idea what “Dill Eireann” meant but that “President of the Irish Republic” was analogous to the title “President of the United States” and its use by de Valera would make that clear. 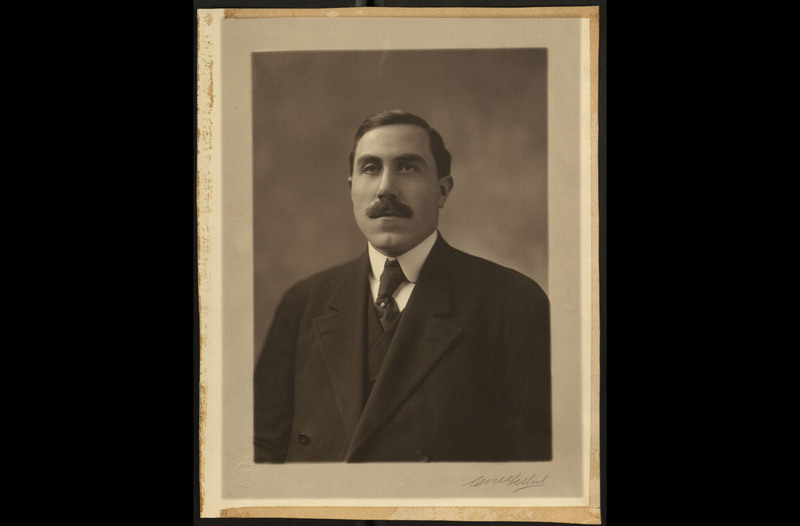 Henceforth, McGarrity was de Valera’s first lieutenant in America and a fount of wisdom on all problems until the mid-1930s when the ex-President of the Irish Republic suppressed the I.R.A. under the Offenses Against the State Act and used military courts to jail them. McGarrity ended all contact with de Valera. Almost two decades earlier, McGarrity had exposed a plot against de Valera by his enemies in New York, which, if successful, would have forced his return to Dublin in disgrace and ended in his defeat because he had incurred the wrath of Judge Daniel Cohalan and the aged Fenian veteran John Devoy as Dáil Eireann’s spokesman in the U.S.
Devoy, writing in the Gaelic American, denounced de Valera for a published interview with a British correspondent in which the politician had said Britain should declare a “Monroe Doctrine” for Ireland, as the U.S. had done for Cuba. Devoy’s point was that the Monroe Doctrine had made Cuba a dependency of the United States. De Valera, however, seemed ignorant of Cuba’s real status. 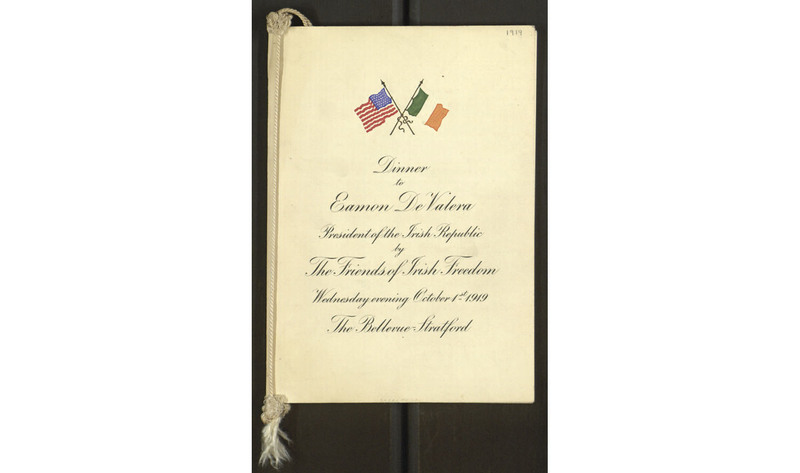 Program for Friends of Ireland Freedom dinner honoring éamon de Valera in Philadelphia on October 1, 1919. A point of correction. It is Dáil Eireann. 1. Joe and DeV did NOT sever all ties in the mid-30s. 2. Joseph died on 5 August 1940 in Philadelphia of throat cancer.